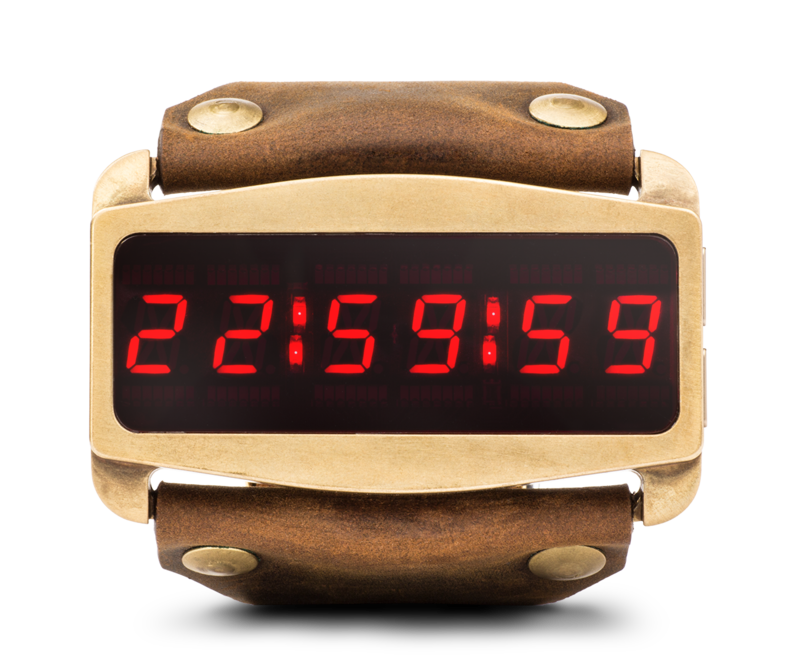 The Lifeclock One is a fully licensed reboot of Snake Plissken’s watch prop from Escape From New York™, but with a twist. It’s a countdown timer of course, but it also tells the time and date, and best of all — it pairs with your iOS or Android device to push notifications from your favorite apps, as well as notify you of incoming calls and text message alerts. You also get a stopwatch, access to up to 8 world clocks, control over your smartphone’s camera shutter, step counting, a compass, and customizable daily alarms. A viewing of the movie back in 2014 sparked the idea to make the Lifeclock One. 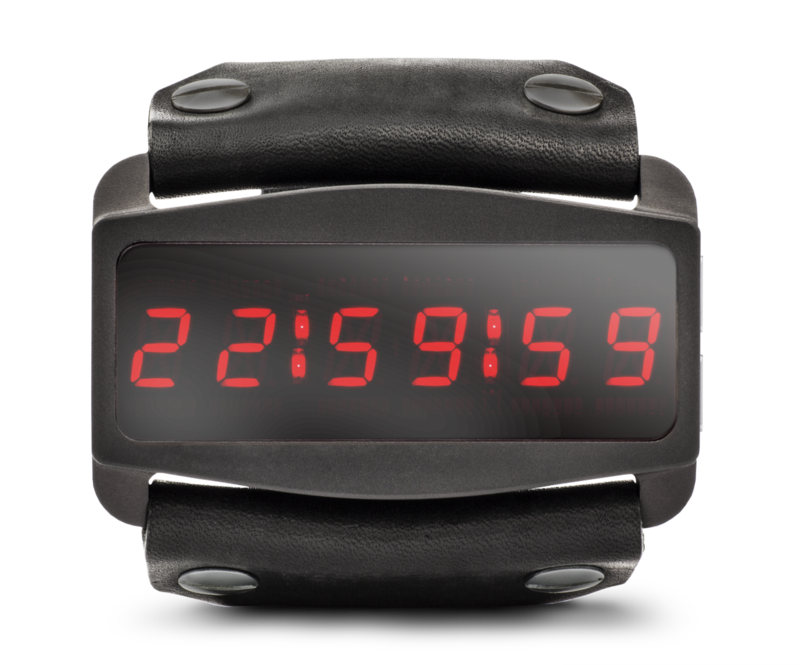 While watching the movie, creator Jonathan Zufi thought: “How cool would it be to have a real Snake Plissken countdown timer?” He knew that if he did it right, he could delight fans of the movie and perhaps other lovers of unique timepieces and awesome gadgets. Based on our research, for the close-up scenes where the watch is activated, the unit was powered by an external battery pack with wires hidden underneath Kurt’s arm. In all other shots of the watch, it was simply a shell with a plastic screen and a leather strap. So, the prop was just that — a prop. The Lifeclock One actually works. We decided to balance the watch portrayed in the movie with a practical, highly functional timepiece that also supports capabilities never considered back in 1981 (or 1997). We know that real prop fans take their craft very seriously and we respect that. We’ve worked hard to keep the watch as close to the movie as possible, but still make it attractive to fans who are looking for more functionality beyond a collectable or cosplay accessory. We feel confident that we have achieved a perfect balance, and the Lifeclock One will appeal as a faithful reproduction of Snake’s countdown timer. Best of all — we’ve teamed up with Creative Licensing Corporation, one of the premier licensing agencies in the US, to help us secure a license with the owner of the movie, Studiocanal, who shares our excitement, and are fully behind us to do it right. 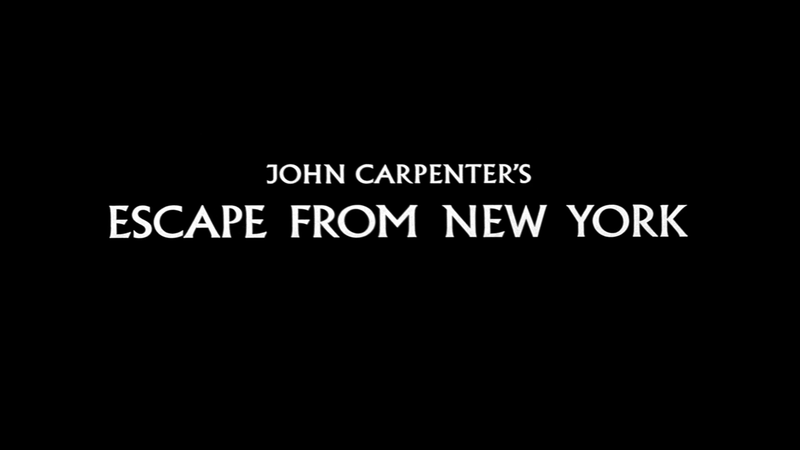 In John Carpenter’s 1981 dystopian, science-fiction, action masterpiece, Escape from New York™, Snake Plissken (portrayed by Kurt Russell), has less than 24 hours to rescue the President of the UnIted States from the country’s largest prison — the island of Manhattan. The United States Police Force outfits Snake with a stealth glider, a couple of guns, a handful of ninja stars, a two-way radio, and a countdown watch. We first see the watch about 22 minutes into the movie. Bob Hauk (played by Lee Van Cleef) straps a countdown timer onto Snake’s wrist and explains that he has just under 23 hours to accomplish his mission. To ensure his compliance, Hauk has micro-explosives injected into Snake’s neck that will rupture within 22 hours, killing him. If Snake returns in time with the President and an audiotape describing the secret to nuclear fusion, Hauk will neutralize the explosives. The wrist watch timer literally counts down the hours, minutes, and seconds Snake has to live – hence the Lifeclock. LEDs are everywhere. They’re in the alarm clocks next to our beds, in our televisions, and in our cars. And, in a world dominated by crisp new smartphone, tablet and TV displays (LCD, OLED, AMOLED) there is still one traditional type of LED display that continues to show up everywhere in modern day life — the tried and true seven segment LED. Even the watch that Snake wears uses standard seven segment LED displays. When designing the Lifeclock One, we knew that we wanted to support rich notifications. The challenge with seven segment displays is that they aren’t very good at displaying certain characters (e.g. M, Z, etc.). So we decided to build our own. The LEDs used inside the Lifeclock One are unique — they are completely custom eleven segment displays. So, to those who say this is just another LED watch, we say: No. This is a unique timepiece that is not only built to honor the spirit of an awesome movie, but to also introduce modern elements of design and experience. Due to the nature of these custom true LED segment displays, they are limited to the English character set only. We’ve made some customizations so that we can support the full English alphabet (A through Z) as well as the full number set 0 through 9. There is no upper or lower case on the Lifeclock One — each character is uniquely presented. There are no immediate plans to offer any non-English character sets. For the Snake Edition, the main watch enclosure is CNC (Computer Numeric Control) machined from a solid piece of brass. And for the Gullfire, the case is 7075-T7 aluminum and finished with a black anodized hard coat. Each Lifeclock One is precision fitted with a stainless steel backplate that features a custom o-ring to keep the elements out, and features an integrated magnetic charging port. For those individuals that have a nickel allergy, an aluminum case back can be specified at the time of purchase. The custom designed and fabricated mainboard “brain” (wink wink) of the Lifeclock One looks retro but it is a powerhouse of cool technology, including: embedded 2.4GHz Bluetooth LE transceiver, InvenSense 9 Axis MEMS (Accelerometer, Gyroscope, Magnetometer), Avago APDS-9300-02 640nm Ambient Light Sensor, Abracon AB1805-T3 Real Time Clock, Precision Microdrives Pico Vibe™ 10mm ultra low profile 2mm shiftless motor for vibration alerts, Lattice Seminconductor LCMXO2-1200HC FPGA driving the LEDs, 32-bit ARM® Cortex™ M0 CPU with 256kB flash, 32kB RAM, and all managed by the Nordic nRF51422 multiprotocol SoC. The custom designed and fabricated mainboard “brain” (wink wink) of the Lifeclock One looks retro but it is a powerhouse of cool technology, including: embedded Nordic nRF51422 multiprotocol 2.4GHz Bluetooth LE transceiver SoC, InvenSense 9 Axis MEMS (Accelerometer, Gyroscope, Magnetometer), Avago APDS-9300-02 640nm Ambient Light Sensor, Abracon AB1805-T3 Real Time Clock, Precision Microdrives Pico Vibe™ 10mm ultra low profile 2mm shiftless motor for vibration alerts, Lattice Seminconductor LCMXO2-1200HC FPGA driving the LEDs, 32-bit ARM® Cortex™ M0 CPU with 256kB flash, 32kB RAM, and all managed by the Nordic nRF51422 multiprotocol SoC. The watch crystal is a critical component — not only does it protect those awesome displays but it ensures the displays have maximum resilience and visibility. It makes the unique LED displays shine crisply and clearly. It is custom machined from SiO2 coated glass that is also tempered. Each display has been manufactured as a 640nm filter to ensure maximum brightness of the custom LED displays while providing just the right level of obfuscation of the main PCB. The Lifeclock One is a fully capable, standalone, modern smartwatch — with time, date, stopwatch, and world clocks — but it also pairs with your iOS or Android device to give you notifications for incoming calls, text messages, and push notifications from your favorite apps. The Lifeclock One also supports firmware updates via Bluetooth. Any updates to your Lifeclock One can be simply and easily downloaded via your smartphone and applied to your watch. The Lifeclock One app is available at both the Apple App Store and on Google Play, free of charge.